An international rights group warned Tuesday that Egypt's ruling generals may try to cover up the circumstances surrounding the killings of more than 20 Coptic Christian demonstrators when the military broke up their protest by force earlier this month. Egypt's ruling military council, which took power after the February ouster of Hosni Mubarak in a popular uprising, have portrayed the Oct. 9 protest and the ensuing bloodshed as the work of provocateurs. The could shield the soldiers from blame. The violence and the military's handling of the aftermath have fueled criticism that Egypt's new rulers are not implementing reforms that would lead to an open, democratic regime. "The military has already tried to control the media narrative, and it should not be allowed to cover up what happened on October 9," said New-York based Human Rights Watch spokesman Joe Stork. The clashes left 27 people dead, at least 21 of them Christians, the deadliest single incident since Mubarak's ouster. After months of growing tensions between the youthful protesters that spearheaded the uprising and the ruling military, the killings brought relations between the two sides to a new low. 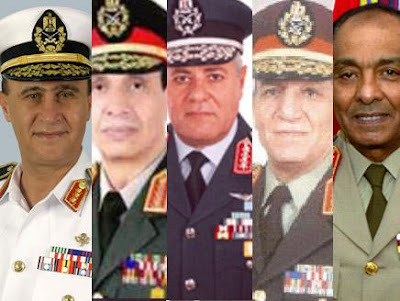 Activists accuse the ruling military council of behaving like the old regime. The generals have been pressing for an end to street protests. The Christian minority, about 10 percent of Egypt's mostly Muslim population, has long complained of discrimination. Attacks on Christians have significantly increased since the uprising. The violence on Oct. 9 began when about 1,000 Christians tried to stage a peaceful sit-in outside the state television building. The protesters said they were attacked by "thugs" with sticks, and the violence spiraled out of control after a speeding military vehicle jumped onto a sidewalk and crushed some Christians to death. At a news conference after the clashes, the military tried to exonerate itself, blaming the Christians and "hidden hands" for starting the violence. They denied troops shot any protesters or intentionally ran them over. The ruling council put military prosecutors in charge of investigating the killings. HRW urged authorities to transfer investigation of the case from military to civilian prosecutors. "The only hope for justice for the victims is an independent, civilian-led investigation that the army fully cooperates with and cannot control and that leads to the prosecution of those responsible," the HRW statement said. If the military maintains control, it said, that would "ensure that no serious investigation occurs." HRW also urged an investigation into whether the military manipulated the media and the state television coverage on Oct. 9 which "may have amounted to incitement to violence." As protesters marched toward the TV building, state television called on viewers to rush to the army's rescue, casting the Christians as a mob seeking to undermine unity between the people and the military. Activists fear that an army-controlled investigation may seek to make scapegoats of some of the protesters. Some 28 people were arrested in the aftermath of the killings, most of them Christians. There has been no word of soldiers arrested. Those fears have been heightened by a prosecutorial summons for a young blogger critical of the military. Alaa Seif, the son of one of a prominent human rights lawyer, has been attacked on television by pro-military activists who claim that they have a video recording of him throwing rocks at Christians during the clashes. His sister Mona, a campaigner against military tribunals for civilians, said Tuesday that the blogger had been called for questioning. Alaa is abroad. The brother of another military critic, Maikel Nabil Sanad, said Tuesday that the young blogger has been moved to a mental hospital. Marc Sanad said that he visited his brother at Cairo's Abbasiya mental hospital on Monday, 63 days after Maikel began a hunger strike to protest his conviction for "insulting the military." He said that Maikel's health was poor. Basma Abdel Aziz, a health official said Monday that her ministry had no information of Maikel's consignment to a mental hospital, but that if he is confined in Abbasiya, the precedent would be "very dangerous and unacceptable." Also Tuesday, hundreds of police officers stormed the regional security office in the Red Sea town of Hurghada, about 300 miles (500 kilometers) southeast of Cairo. They broke down doors, shattering windows and sending the building's employees fleeing. Soldiers removed them from the building. No injuries were reported. Thousands of low-ranking police officers have launched protests in front of local security offices across the country, calling for higher wages and a purge of former regime officers from top security posts. The police say the sit-in, launched Monday, will continue until their demands are met. Additional reporting by Ben Hubbard in Cairo.